Ninety years after the city of Miami, Fla., first thought its tropical location was a good place to spend New Year’s Day watching college football, the Orange Bowl continues to draw fans to the sunny South. Booking early has many advantages. 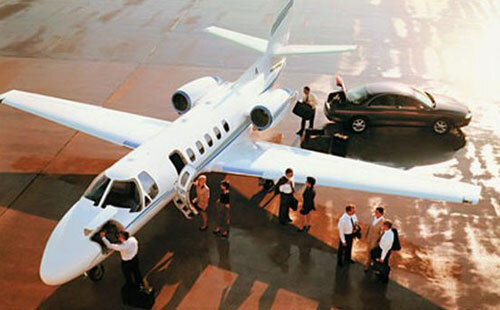 Enter a few details below to start planning your private jet flight to the Orange Bowl. 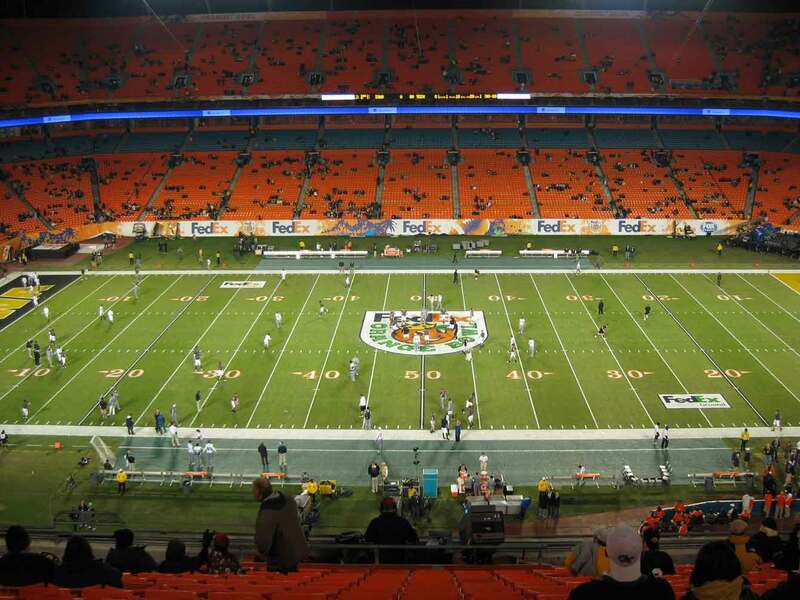 In 1926, Miami, Fla., did much the same thing Pasadena, Calif., had done two decades earlier, used the city’s beautiful weather to entice football games – and fans – for a New Year’s Day matchup. That 1926 “Fiesta of the American Tropics” was the predecessor of the 1932 “Festival of the Palms” bowl, which, three years later, became the Orange Bowl. The first Orange Bowl committee was formed as a way of creating tourism dollars. Although originally for Miami, it has over the years expanded as a draw for the whole of South Florida. The first Orange Bowl, played on Jan. 1, 1935, Bucknell University beat Miami, 26-0 in front of some 5,000 fans. But, it found itself a spot in history for another reason. Photos from the game became the first images wire-transmitted across the U.S. by the Associated Press. An interesting footnote is that Bucknell University, located in Lewisburg, Pa., didn’t immediately accept the invitation to travel that far for a game. They accepted eventually but only if they could bring 280 gallons of their own water for the team. It was only after a bunch of Orange Bowl representatives went up to Norman, Okla., and plastered the campus with posters or palm trees and beaches that the Sooners decided to forego invitations from the Cotton, Sugar and Rose bowls and come to Miami instead. In 1984, the 50th anniversary of the Orange Bowl Classic, it hosted the national championship game, which has been called by many the greatest college football game ever played. Miami held on against Nebraska to win its first national championship, 31-30, after Nebraska missed a two-point conversion attempt with seconds left in the game. 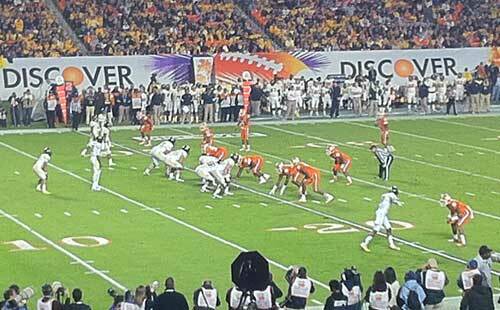 In 2013, the Orange Bowl hosted its 20th national championship game. Florida State beat Northern Illinois, 31-10. The structure of playoffs changed in the 2014-2015 season when the college Bowl Championship Series (BCS) was changed to the College Football Playoffs. The Orange Bowl will continue to be played on either New Year’s Eve or New Year’s Day. It will host a playoff semi-final game every three years. In between, it will host games between an Atlantic Coast Conference team and a high-ranking team from another conference. Bayside Market Place: A festive shopping area along the banks of Biscayne Bay. Little Havana: The hundreds of thousands of Cubans who fled Fidel Castro in the late 1950s to come to the U.S. settled in Miami. Of course, many have dispersed since then but you can still get a Cuban vibe – and great meal, of course – in the Calle Ocho and Domino Park neighborhoods. Vizcaya Mansion: The official unofficial diplomatic seat of Miami-Dade County has been the location of the signing of the Free Trade Agreement of the Americas and has welcomed U.S. presidents and European royalty. The museum includes the main house with 2,500 art objects, an orchid collection of more than 2,000 specimens and formal gardens. Coconut Grove: Miami’s first neighborhood (founded in 1873) is now considered an escape from hectic city life. Located in the heart of downtown, its Bohemian boutiques and sidewalk cafes give it a laid-back atmosphere. South Beach: You can check out hot bods on its two-mile stretch of white sand beaches or the historic art deco architecture of its buildings. Either way, no trip to Miami is complete without a visit to South Beach. And, if you’re hungry after all your people-watching, there are tons of trendy restaurants to visit.